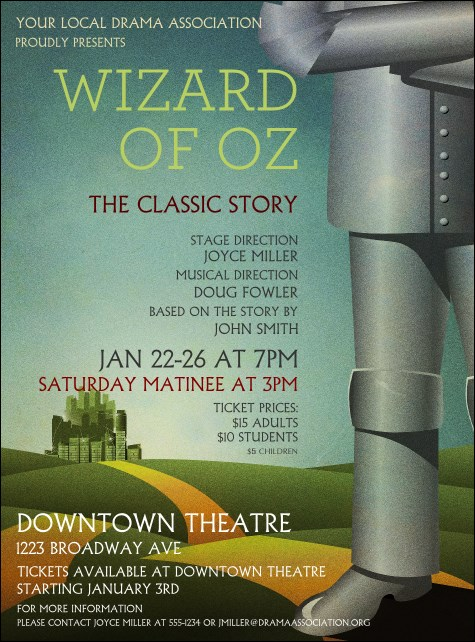 Follow the road to a packed theater when you post the Wizard of Oz Flyer before your next performance. This fun design features the Tin Man standing strongly in front of the Yellow Brick Road, with the Emerald City in the near distance. Enter 23 lines of production details in the easy template below!